Following up his best film this decade, After the Storm, Hirokazu Kore-eda is continuing his usually prolific streak with a pair of dramas. Last fall saw the premiere of his murder mystery/courtroom drama The Third Murder and he’s now finishing up his next film, Shoplifters, in time for a summer release in Japan and likely Cannes premiere. Today brings the first look at the latter and a new trailer for the former. First up, Shoplifters stars Lily Franky, Sakura Ando, Kengo Kora, Sosuke Ikematsu, Chizuru Ikewaki, Yuki Yamada, Yoko Moriguchi and Akira Emoto, the film follows a family of shoplifters who take in an orphan. 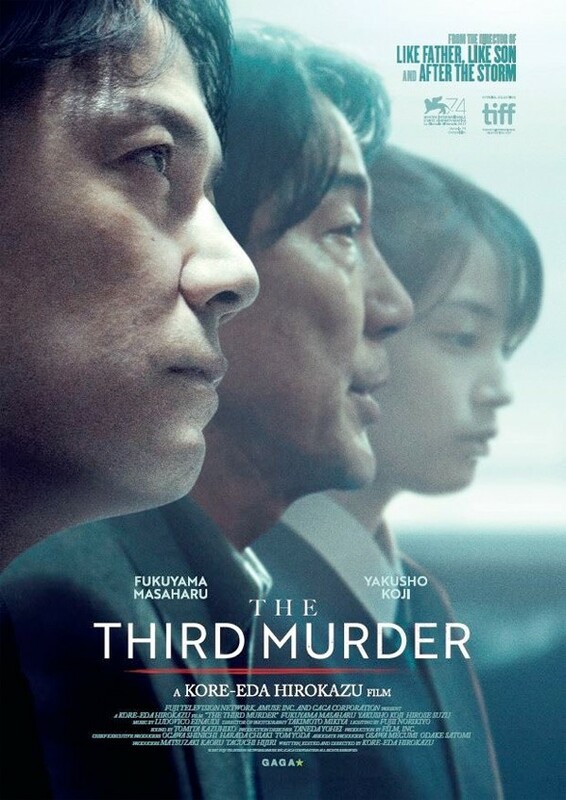 Then we have a new U.K. trailer for The Third Murder, which follows a defense attorney (Masaharu Fukuyama) who has different ideas about the case than his client (Kôji Yakusho), who confessed. Check out both the first look and trailer (hat tip to First Showing) below, along with synopses. Shoplifters will be released in Japan this June and The Third Murder hits the U.K. on March 23. Neither film currently has a specific U.S. release date, although Film Movement will release the latter sometime this summer.